Membership - what do you get as a member? Newsletter with member articles and news. Forum viewing of public topics. Calendar of events, upcoming shows, competitions, conferences. Resource Page for women in the design professions. OWA Programs: Scheduled bi-monthly with topics ranging from career development to community outreach to tours of local buildings. 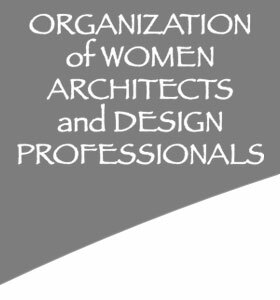 We often feature the work of our members as well as projects designed or managed by women architects and design professionals. See our Calendar. Annual Retreat: Held in Sonoma County in the fall, the OWA Retreat is a chance for members old and new to reconnect, restore, and revitalize the spirit. Holiday Giving Party: Each year we donate hundreds of gifts to the Hamilton Family Center and Shelter for homeless families in San Francisco. Forum posting access for both public and members-only topics. Member Directory containing professional information and interests for most OWA members. Health Plan: OWA offers a Health Care Plan for its members. Portfolio and Journal to create your own public portfolio of work and to maintain your own blog. And most importantly, the camaraderie and support of hundreds of other design professionals. For this alone, joining is worthwhile! Just fill in the information below. You will be able to modify any information in your profile after the registration process is complete. Contact the Membership coordinator at membership@owa-usa.org if you have questions.